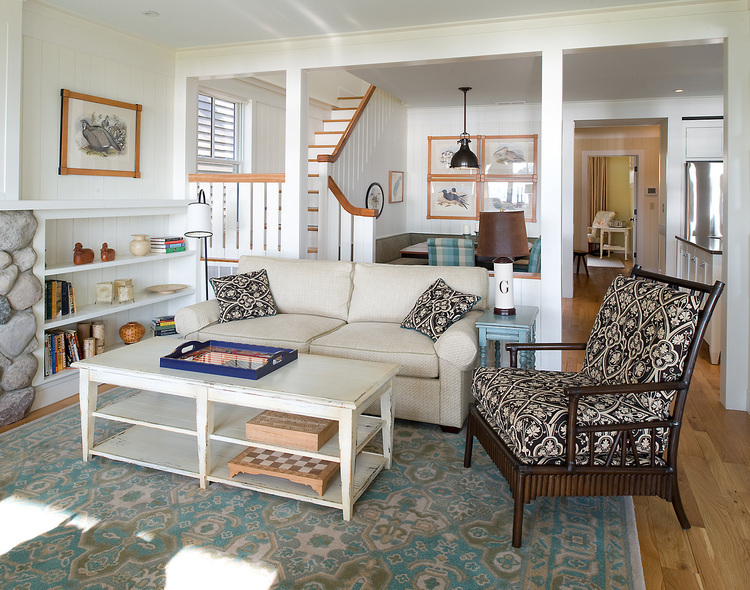 When we stumbled upon this great lake cottage, we got halfway through the pictures before we realized it was a vacation home! But maybe that’s what Hamilton Snowber Architects had in mind all along – this house would probably fit well into just about any older neighborhood in the country. 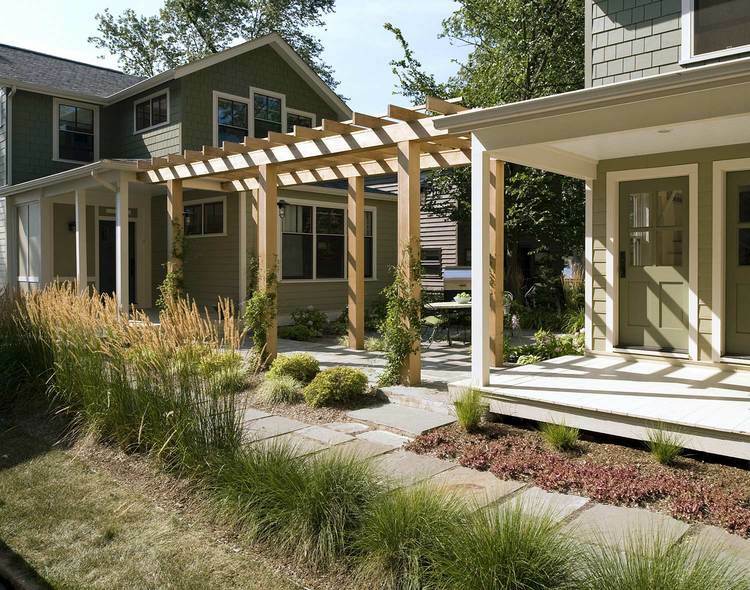 The lake vacation cottage has great details inside and out, including this pergola connecting the main house to a smaller guest cottage. 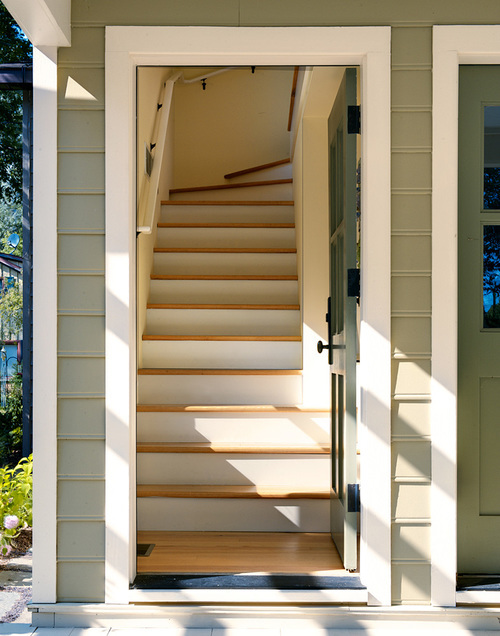 The door to the guest cottage opens to a stair – we’re guessing this leads to a guest room over a garage below. 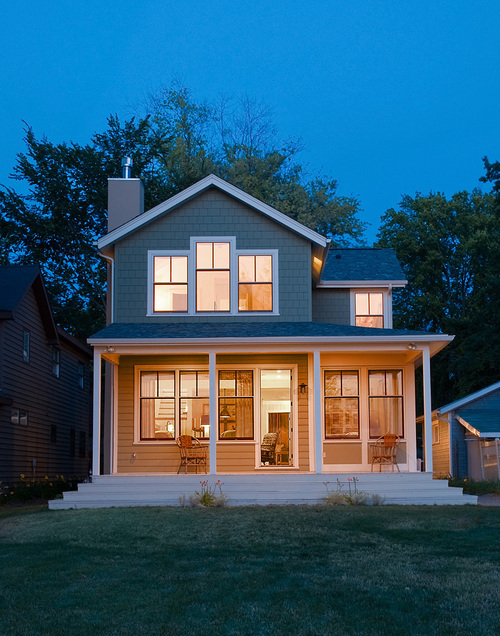 Note the nice beaded bottom edge on the siding. 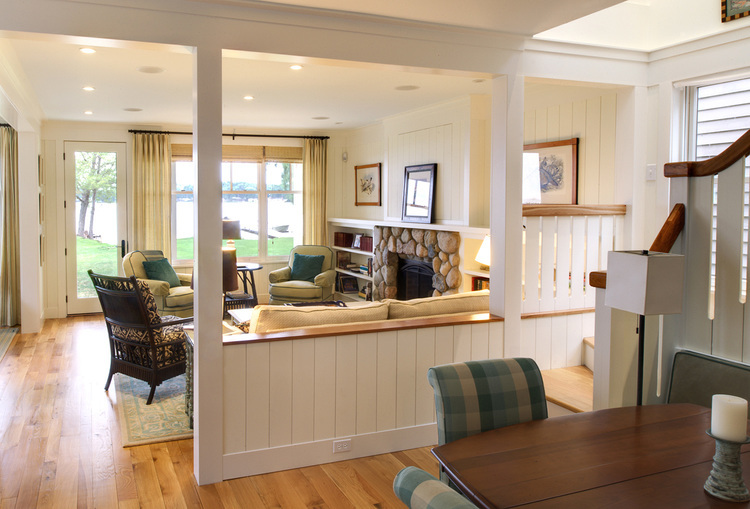 Inside, all the finishes are classic “lake vacation cottage” details – the river rock fireplace; the flat-board stair balustrade; and the vertical v-groove board siding instead of drywall; and the natural-finish flooring. 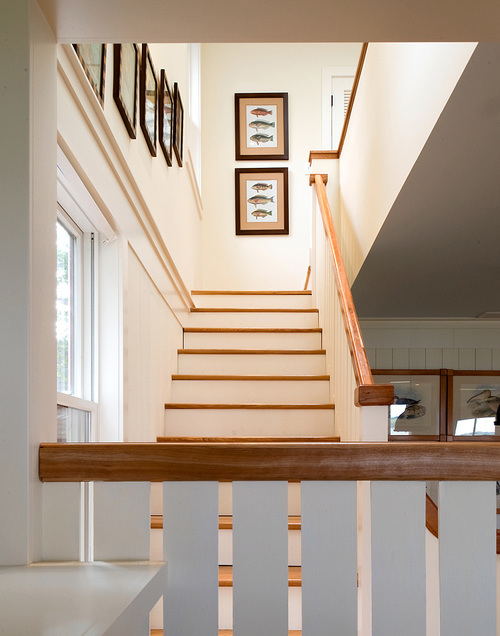 This closer view of the stair shows how the board balusters also become the wall covering – clever! 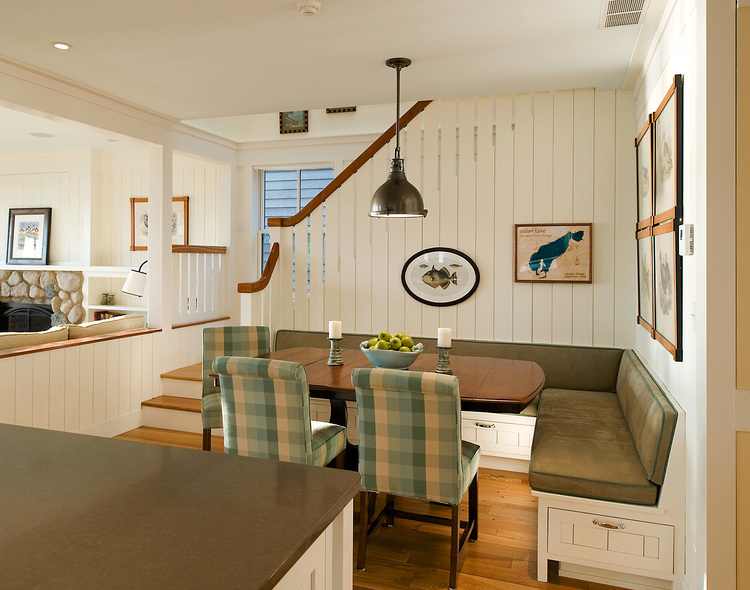 The banquette sits in a corner framed by the stair and a half wall between the kitchen and family room. This is our favorite photo of this house, where they’ve brought the vertical boards on the wall right down to the countertop, and we love the matching coffee cups on hooks! 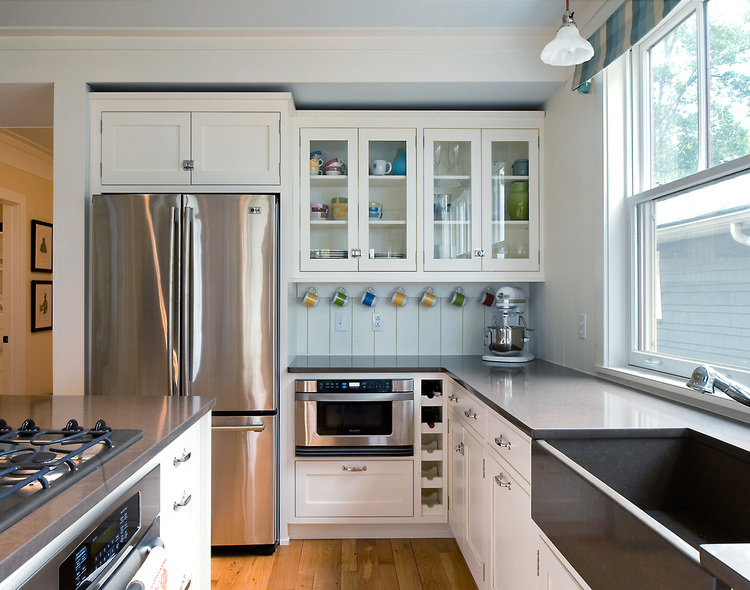 The doors on these painted cabinets are simple Shaker frames, but the designers took the extra (and more expensive) step of making them inlaid doors. 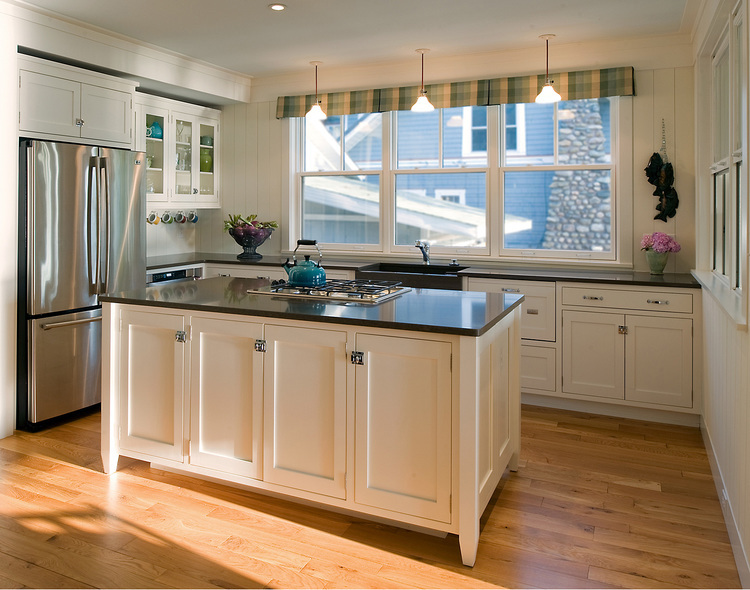 Along with the solid-surface countertops, it makes for a classic kitchen look. 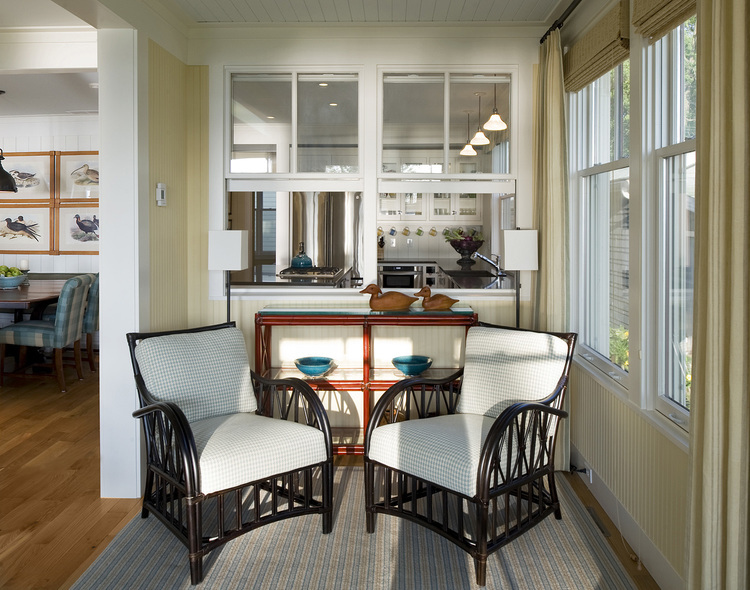 And you have to love this sunny little nook – check out the two interior windows that open up to the kitchen counter! There’s a lot going on in this little stair space that makes it lively and interesting, including the artwork with matching mattes and frames. 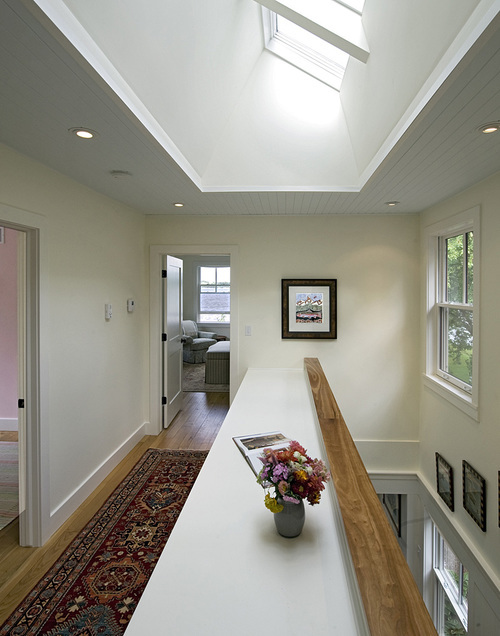 A vaulted ceiling above reveals skylights the flood the stair with light. Notice how the stair balustrade goes from open to solid – providing privacy upstairs, and a place for a bookcase and shelf. Guess there’s no doubt that this house is on a lake! 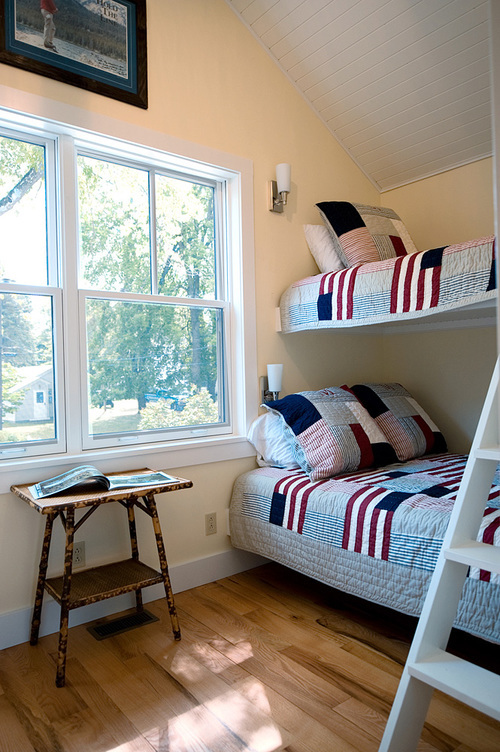 Lots of windows, a vaulted ceiling, exposed beams, and board ceilings are just right for the master bedroom. 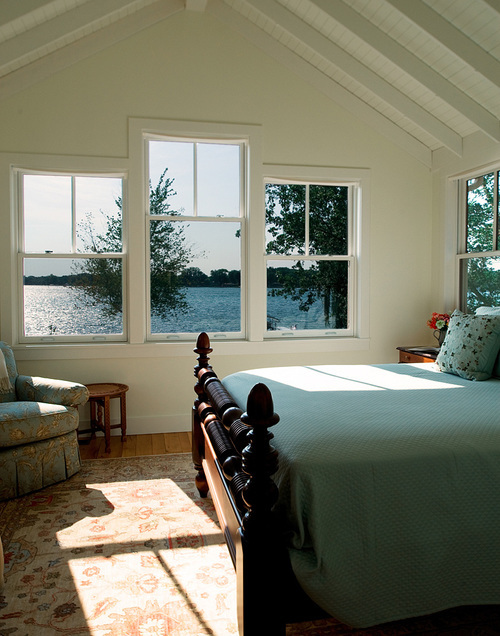 The other upstairs bedrooms are just as nice, and have the same wonderful “lake house” character. 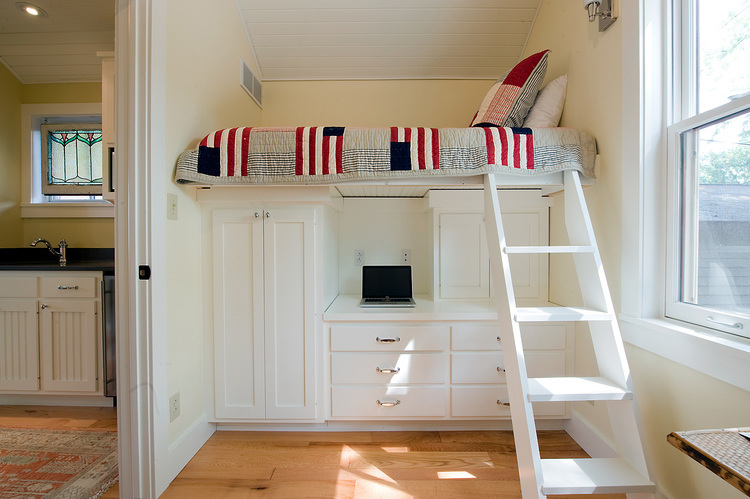 So – vacation home, or everyday home? We could go either way!